Dental Implant Center is conveniently located for residents of both Mexicali and Imperial Valley. Offering the highest quality dental implants in a comfortable, clean, and modern office, Dr. Jose Valenzuela has built his reputation on creating beautiful, functional results. If you live near the US-Mexico border and are in need of dental services, contact Dental Implant Center today to schedule an appointment. Dr. Valenzuela and his staff invite patients from the United States to experience the high quality service we provide at our state-of-the-art dental practice. The materials we use in our procedures are imported from trusted manufacturers in the U.S. 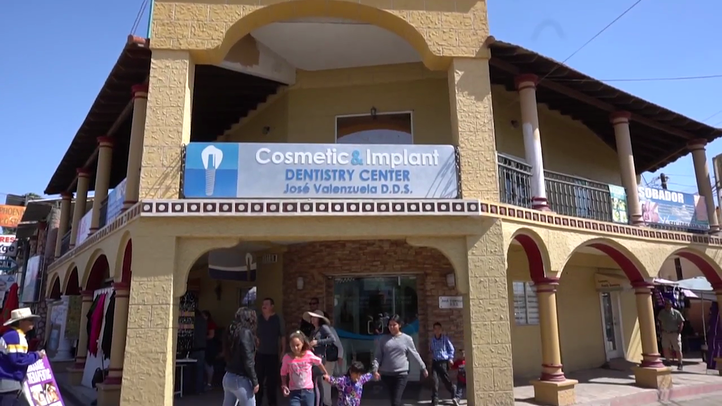 Dental Implant Center has a long-standing history of excellence in the Los Algodones community. Continuing a family tradition of providing exceptional dental care to the community, Dr. Jose Valenzuela offers an array of cosmetic and implant dentistry services. Residents of the nearby California, Baja California, and Yuma, Arizona areas flock to his practice seeking personalized dental treatment at affordable prices. Dental Implants: Replacements for missing teeth, implants are small titanium posts that are placed in the jawbone to support artificial teeth. Implants are durable, stable, and completely natural-looking. Porcelain Crowns: Meant to strengthen and support a damaged tooth, crowns are porcelain restorations that cover the entire surface area of teeth. Porcelain Bridges: Effectively filling gaps between the teeth, bridges are comprised of an artificial tooth flanked by two crowns. The artificial tooth fits into the gap, and the two crowns slip over the teeth on either side of the gap. Porcelain Veneers: Thin sheets of porcelain, veneers improve the aesthetics of a tooth by masking minor flaws such as chips, cracks, or stains. Teeth Whitening: In-office treatments last about an hour and lighten teeth by up to 10 shades. If you live in Mexicali or Imperial Valley and are seeking information about dental implants, contact Dr. Jose Valenzuela of Dental Implant Center today. A member of our staff will happily get in touch with you to set up an appointment.